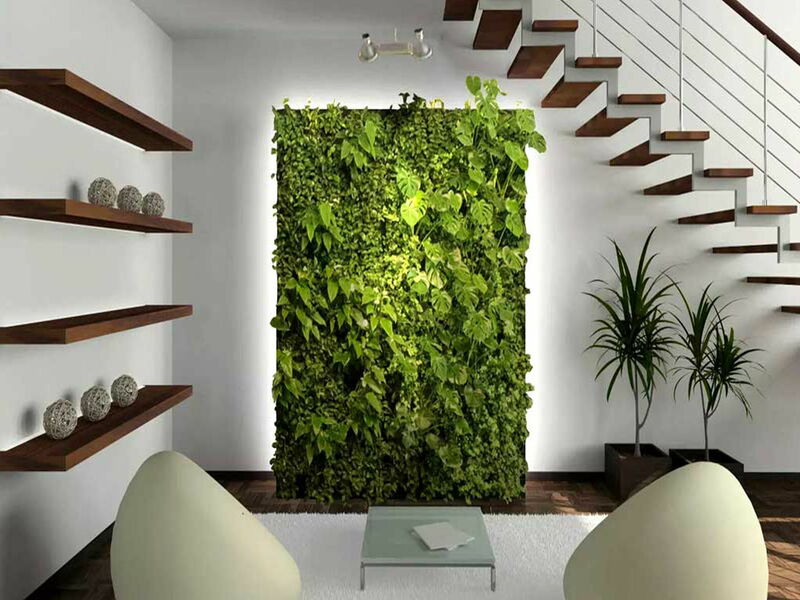 Decorate your home with these lively greens that are made for those without green fingers! Forget boring old cacti, these beauties can survive careless care-taking and will make you look like the gardener you never were! For centuries, humans have been trying to bring the outdoors indoors, and through trial and muddy carpets, have discovered a number of floras that can survive being confined to the same living spaces as us. Here’s a list of resilient victims plants that you can keep indoors without much fuss, from smallest to largest. 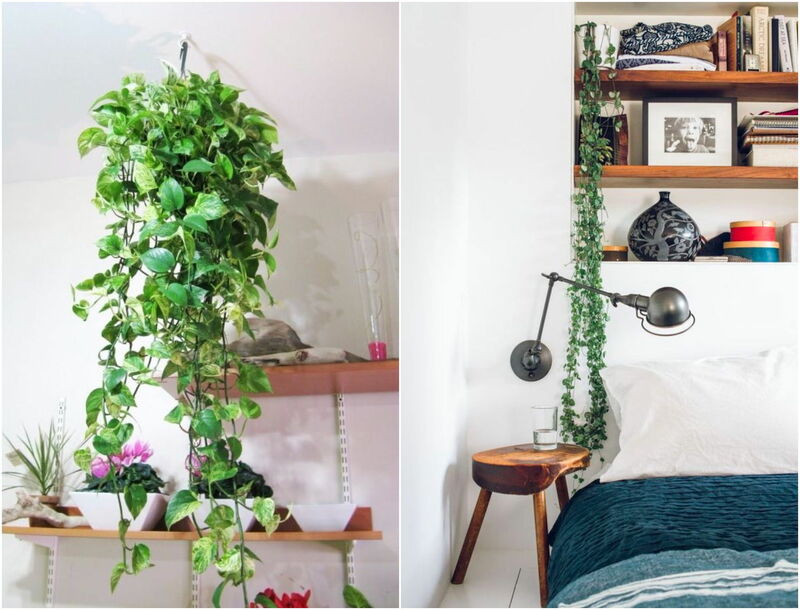 Why have it: Pothos have an air-purifying “feature” that can absorb and strip toxins like formaldehyde from materials in the home such as carpets and fabric sofas. Plus, this plant is super easy to grow – just snip off a small part of the stem and chuck it into water. 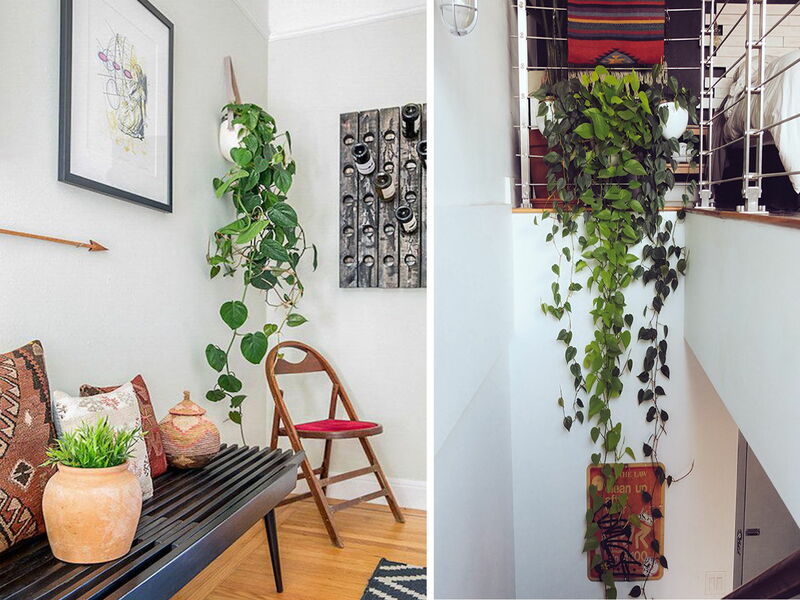 How to care for it: Probably the easiest plant to care for, the Pothos can produce stems that trail eight feet or longer, so just cut them when they get too long and your plant will continue to look full and healthy. The plant’s versatility allows it to grow in soil or even just in a bowl of water. Just change the water once a week and use distilled water as tap water may contain harsh chemicals. For potted Pothos, just water and trim regularly. 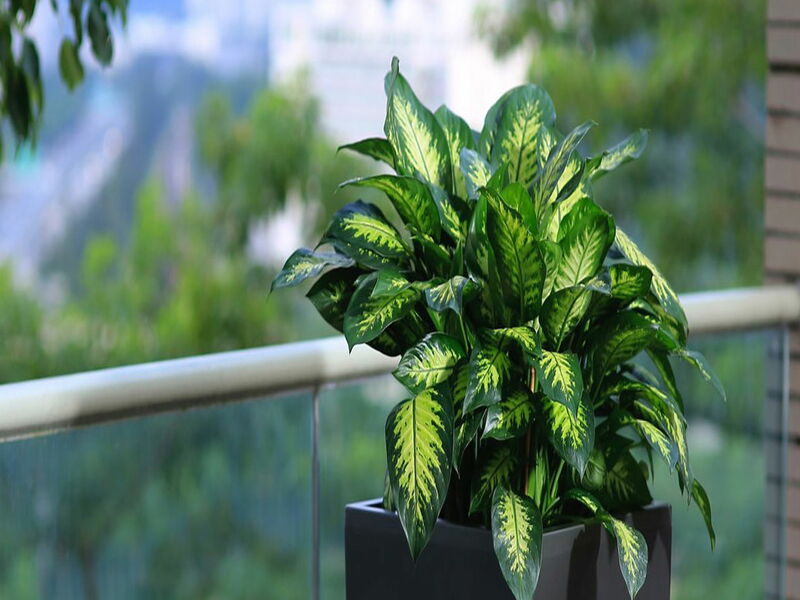 Where to put it: Water-based Pothos are recommended for air-conditioned rooms and potted ones can be placed almost anywhere in the home. It can survive with both low sunlight and direct light. Utilise the beauty of its long trailing stems by placing it in a hanging basket or let it creep around a pillar. Why have it: The English Ivy adds a vintage feel to your home, mostly because it’s commonly found in old English cottages. Its main benefit, according to the American College of Allergy, Asthma & Immunology, is its ability to filter out airborne mold that causes sinus irritations and other ailments. 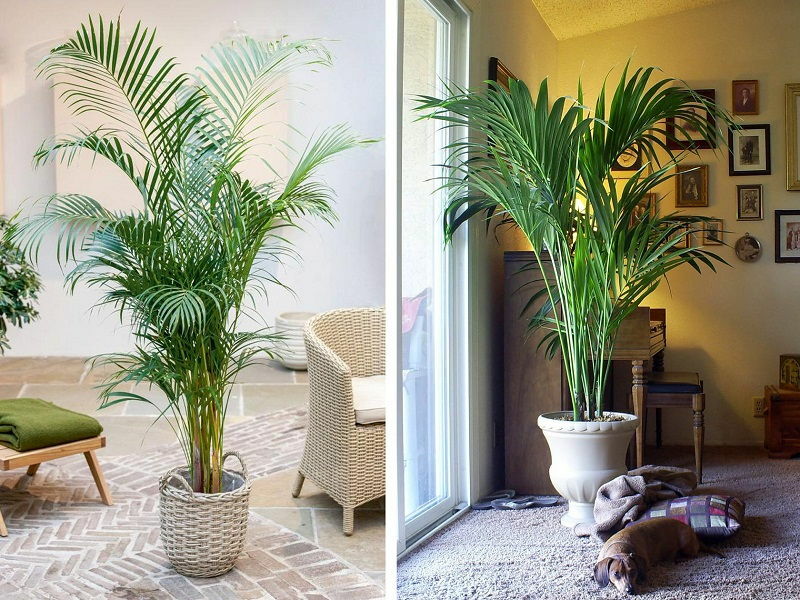 How to care for it: This plant loves moist soil and cooler room temperatures, making it ideal for air-conditioned rooms. Just like any vine or creeper plant, simply trim off leaves and stems if the plant outgrows its intended style. It also develops poisonous berries when reproducing so be sure to remove them all. Where to put it: The English Ivy is best placed high above to let its leaves dangle or creep down. Hanging it high also keeps it away from pets or toddlers as this plant is extremely poisonous if ingested. 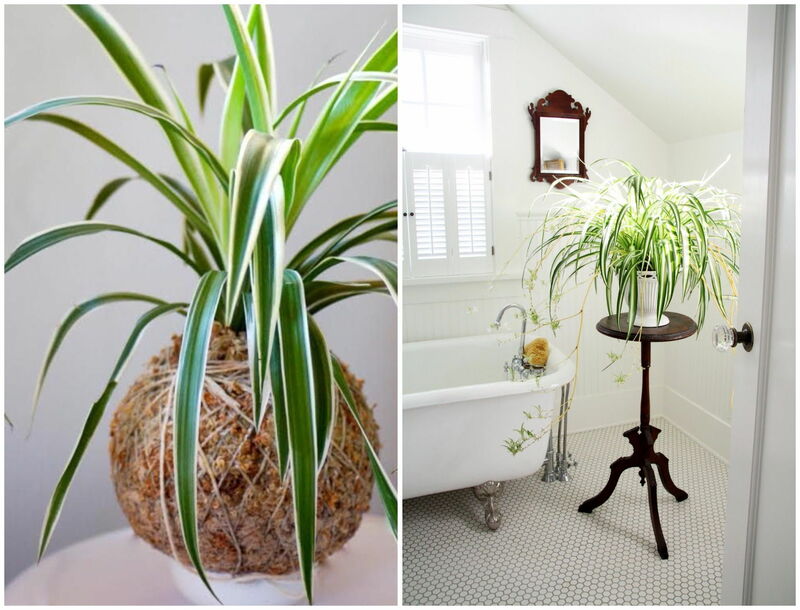 Why have it: Also known as Spider Ivy, these otherworldly-looking indoor plants add visual interest to any living spaces. Its long stem-like leaves tend to dangle downwards, resembling spider legs. 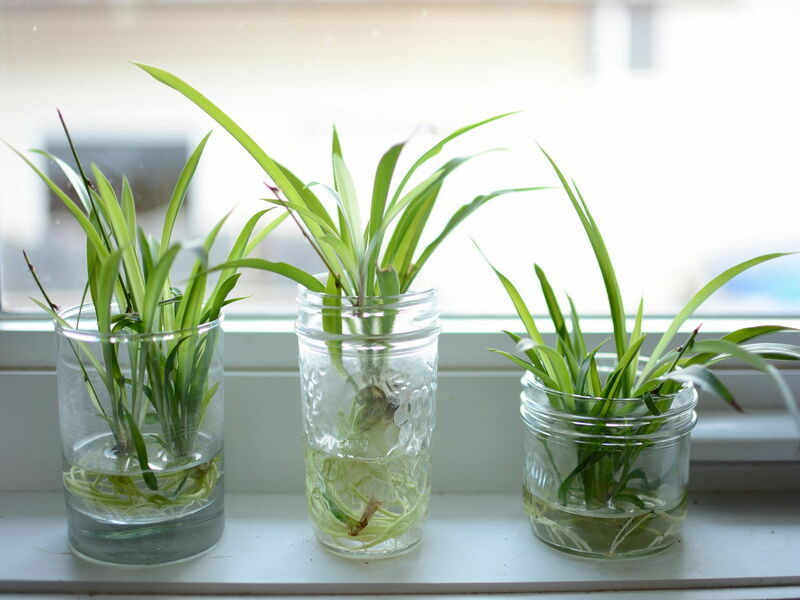 How to care for it: Spider Plants do well with evenly moist soil so don’t over water them. 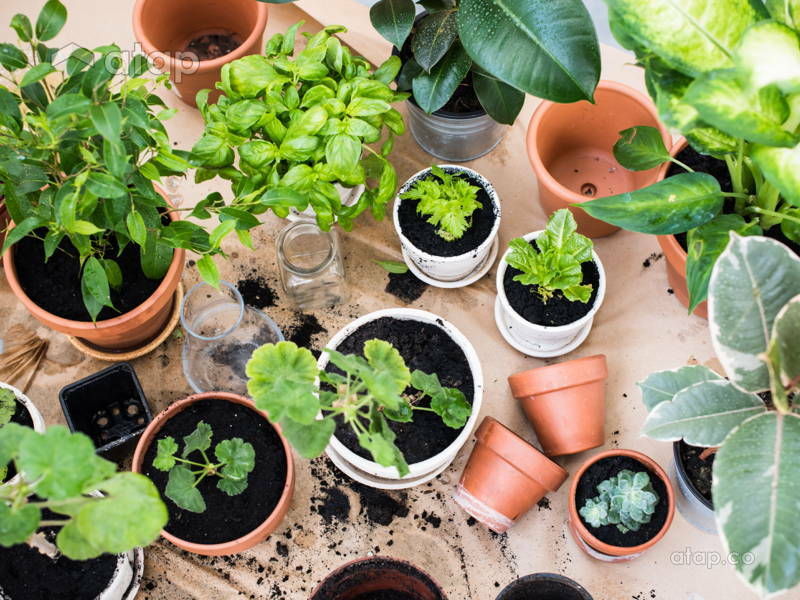 If the plant is in an air-conditioned room, then water it twice daily to prevent the soil from drying; if it’s sitting in room temperature, then once a day will suffice. Monitor the moistness of the soil for the first few days just in case. If leaves turn brown, then just trim them off. Where to put it: Indirect sunlight works ideally but this hardy plant can survive under the spotlight. Hang it up or put it on top of a cupboard and let its leaves dangle down. 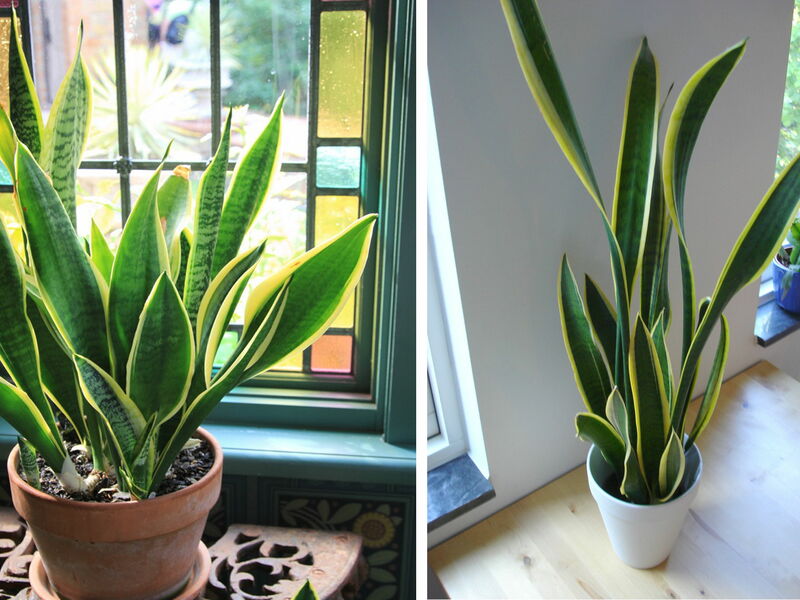 Why have it: Fondly known in Asia as ‘Mother In-Law’s Tongue’ (we can only assume because the plant looks like a sharp tongue), this is the easiest plant to grow. 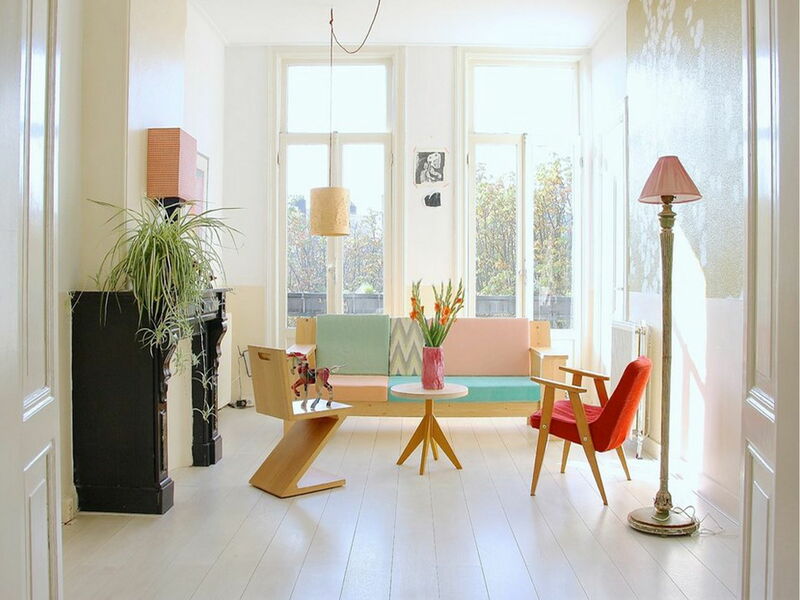 Its unique shape and colour will add character to any boring space in your home. 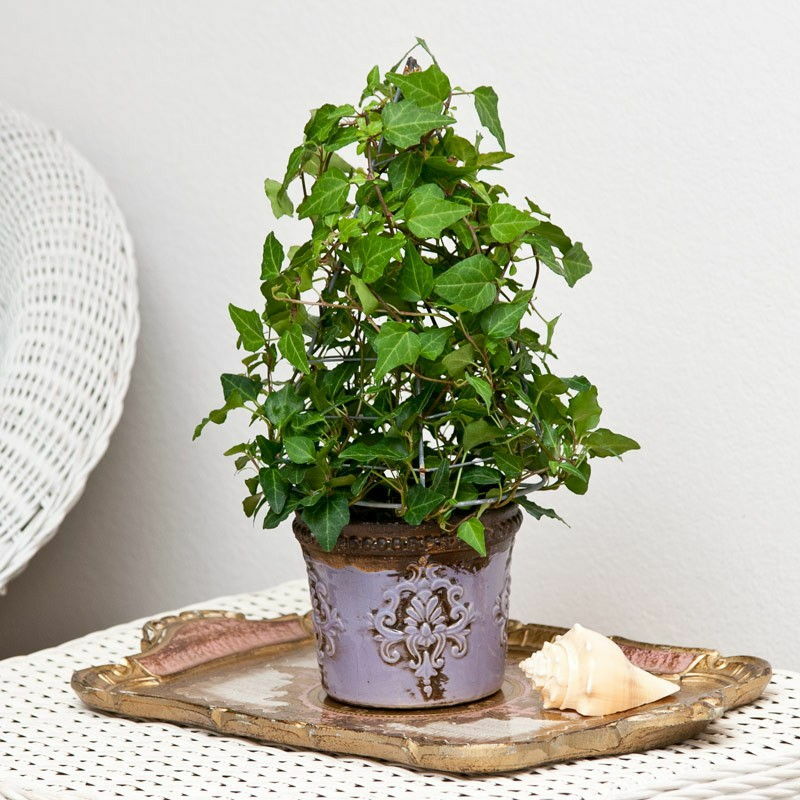 How to care for it: This plant can endure all types of lighting conditions, and doesn’t require much water. Just snip off dried bits and you’re done for the month! Where to put it: Everywhere! Given its survivalist nature, you can put this baby anywhere. 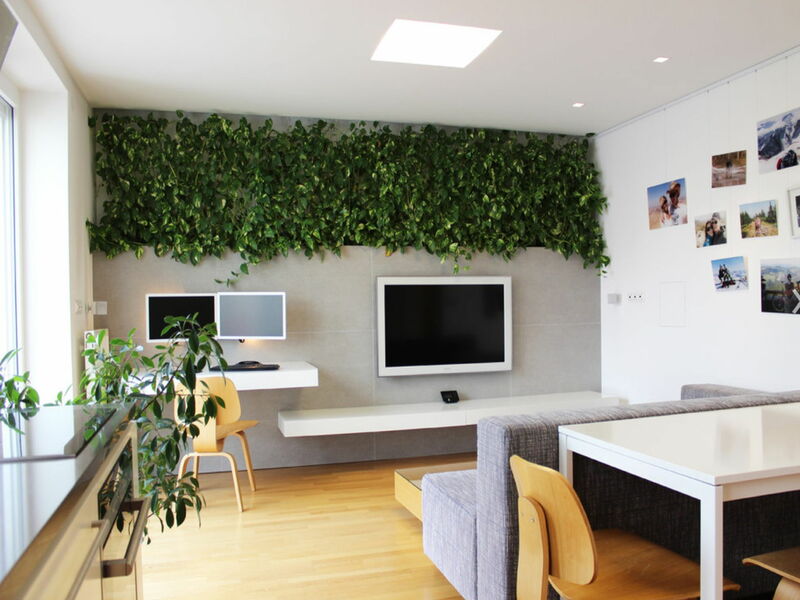 Because its leaves grow upright, you can squeeze it into tight corners or narrow spaces between furniture. 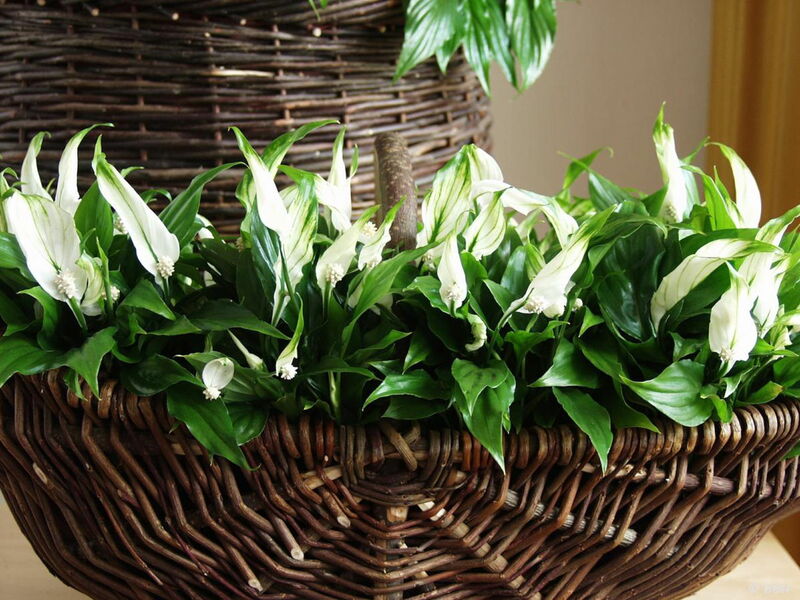 Why have it: The Peace Lily is not only more uncommon than a vase of roses, they’re also sturdier! How to care for it: Pretty simple, just trim off any dry leaves and ensure that its soil is always moist. 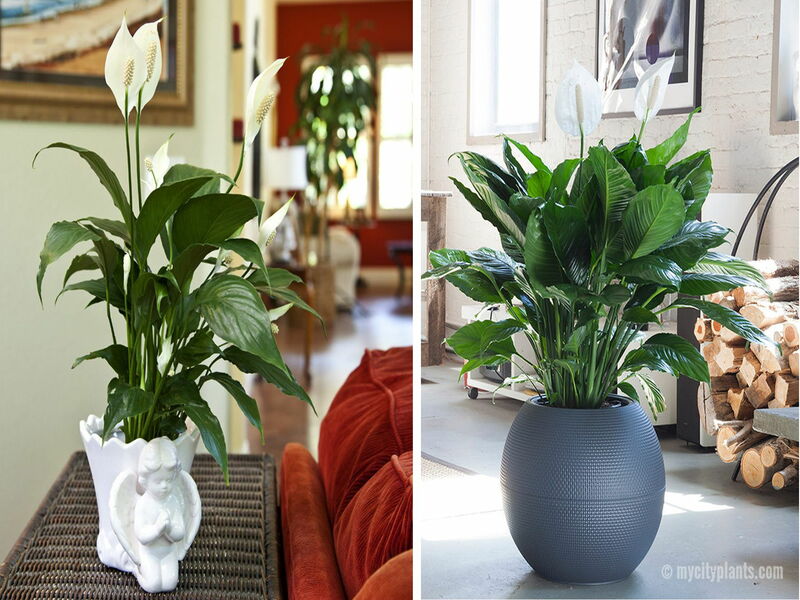 Where to put it: The lily prefers low humidity and low light, making it great for rooms with fewer windows. 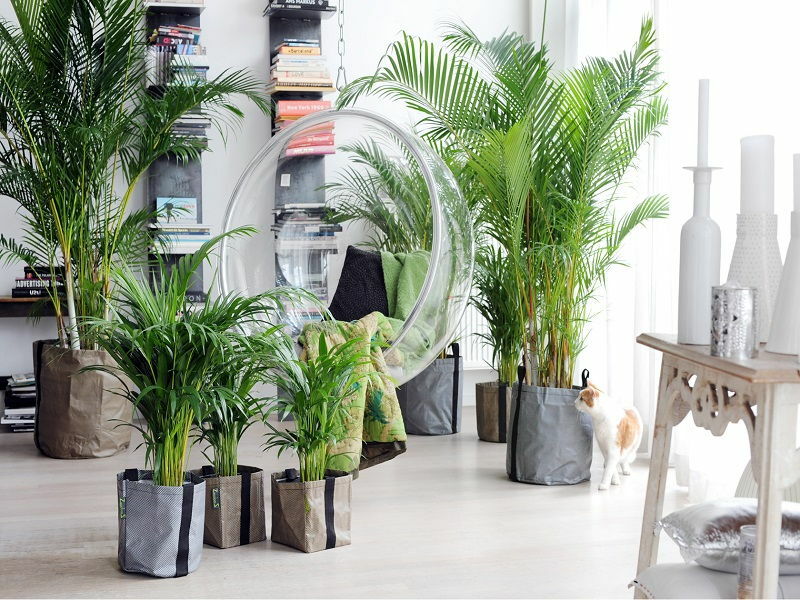 You can plant it in a pot in the master bedroom or in a vase full of water on the dining table; this plant is versatile. 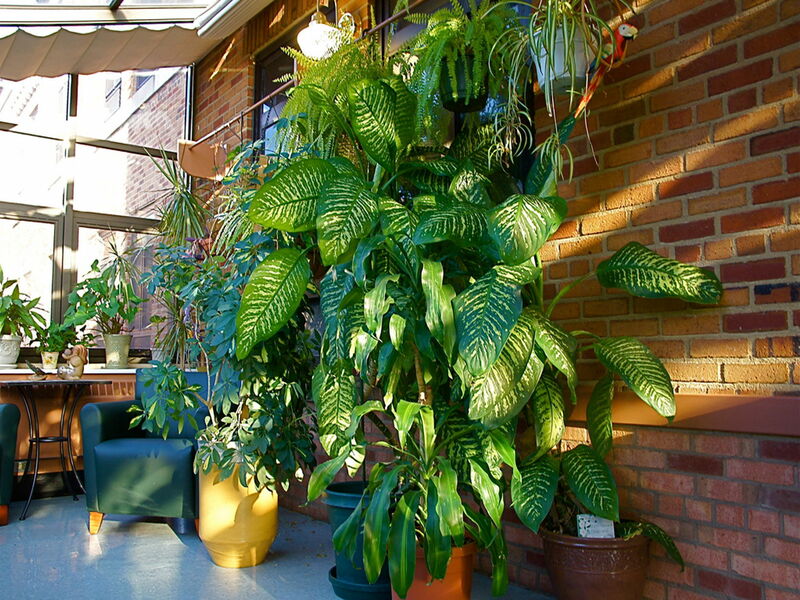 How to care for it: This plant prefers room-to-warmer temperatures and medium-to-low lighting. 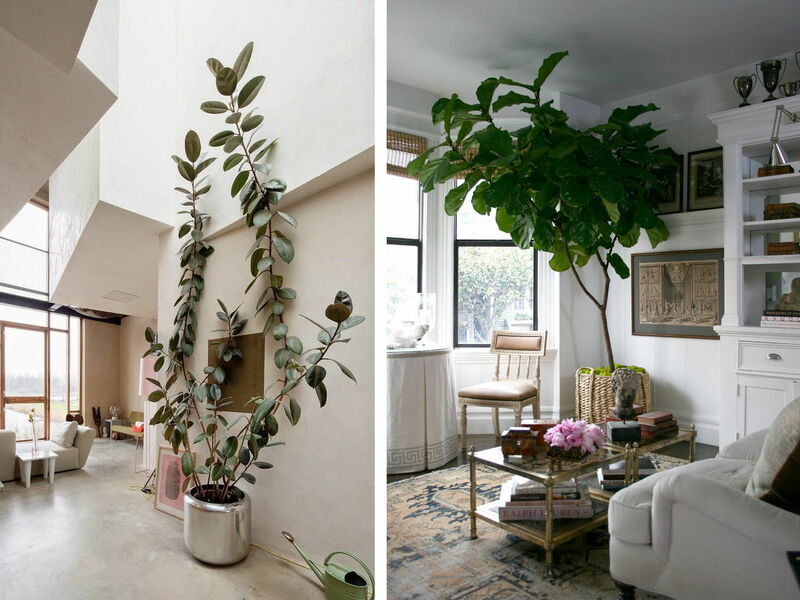 If the plant gets too wide, just…you guessed it…trim the leaves. Where to put it: Dumb Canes are perfect for gloomy corners of the living room. It’s big, bright green leaves will perk the corner up! 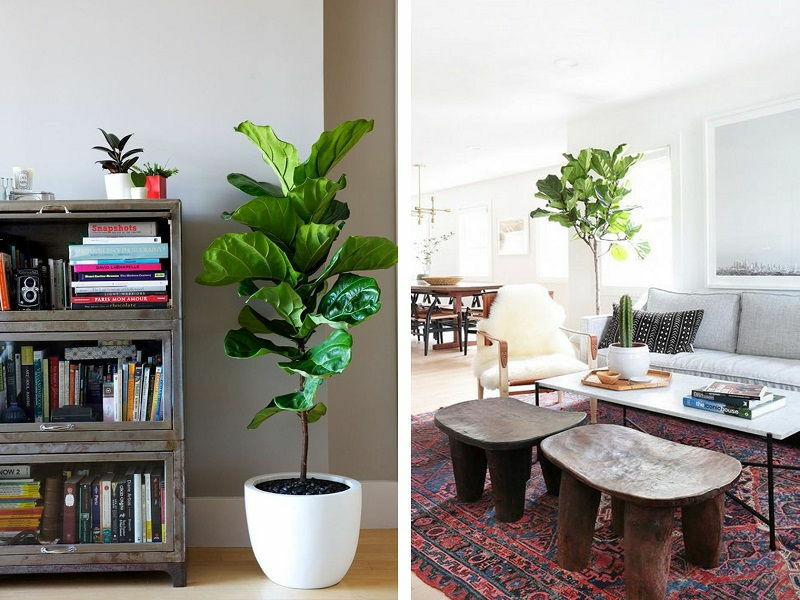 Why have it: This indoor tree has shiny leaves to add cheer to any indoor space. Plus its stems can be “braided” or entwined to create a unique look. Oh and did we mention you have over 800 varieties of Ficus to choose from? How to care for it: Depending on its variety, most Ficuses prefer wet leaves and dry roots so just spritz water onto the leaves and water the soil if it’s dry to the touch. Oh, and the occasional snip here and there of course. Check with your local nursery on how to braid the stems. Where to put it: This bad boy loves the sun, so putting it near a window or balcony is ideal. Plus depending on the variety, it can grow pretty tall too. Why have it: Fancy living in a lush tropical setting? 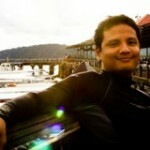 Then the Areca Palm, or Bamboo Palm in Asia, is your plant. It can grow up to seven feet high so you can make this beauty a centerpiece. How to care for it: It likes indirect sunlight and isn’t very thirsty so water it on alternate weeks. If you want it to grow to its maximum potential, then plant it in a bigger pot. If not, just leave it in a smaller. Where to put it: The hall, dining area, kitchen, foyer, bedrooms, and anywhere you can imagine, really! 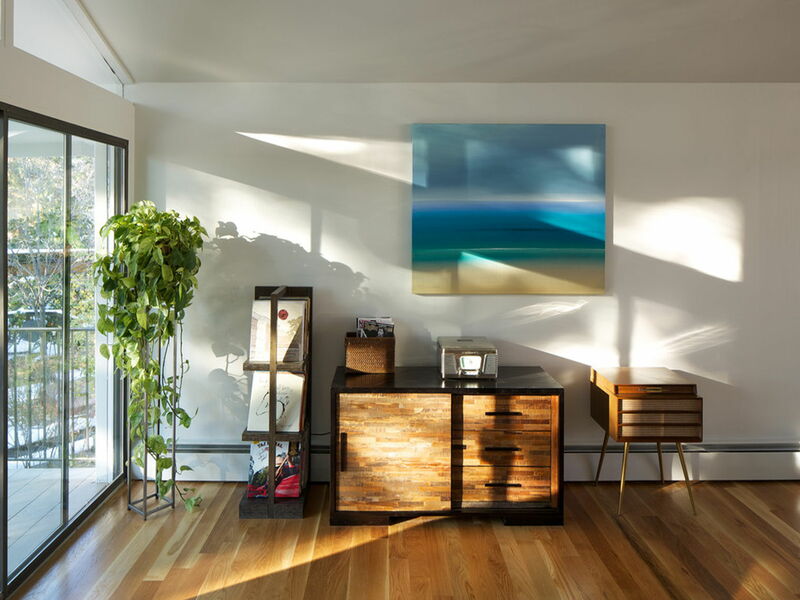 Put it in the corner of your living room and let it grow tall – you’ll enjoy its bright greens during the day and the moody shadows it casts at night. Why have it: Want to create a huge visual impact in your living room? 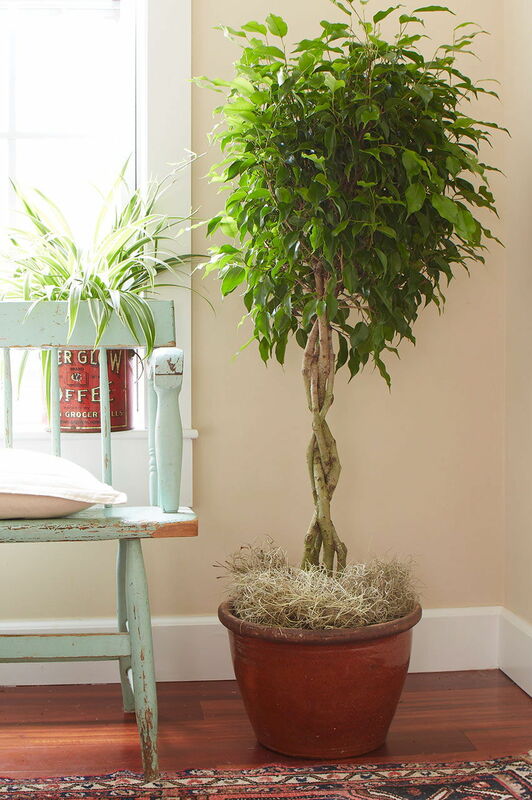 This easy-to-nurture indoor plant will grow into an eight-foot-tall tree! 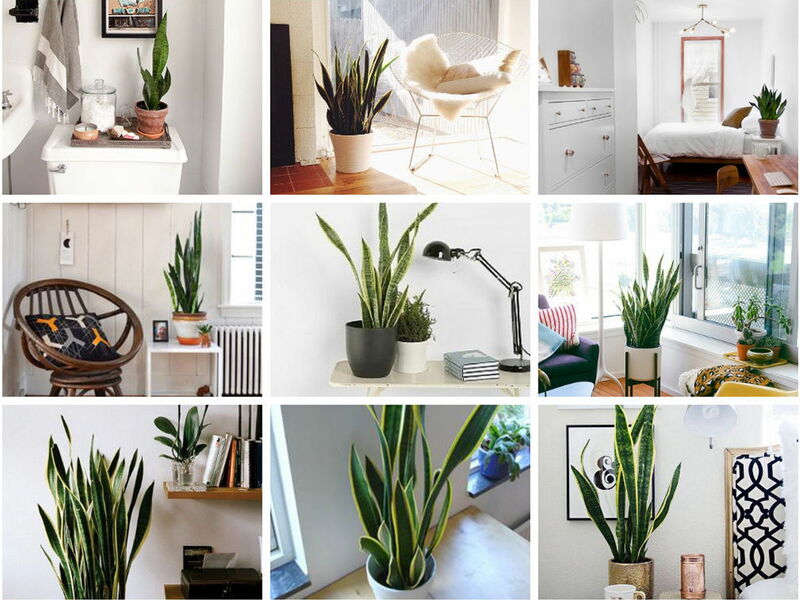 It’s also one of the toughest indoor plants with high transpiration rate (that means it frequently releases moisture into the air). 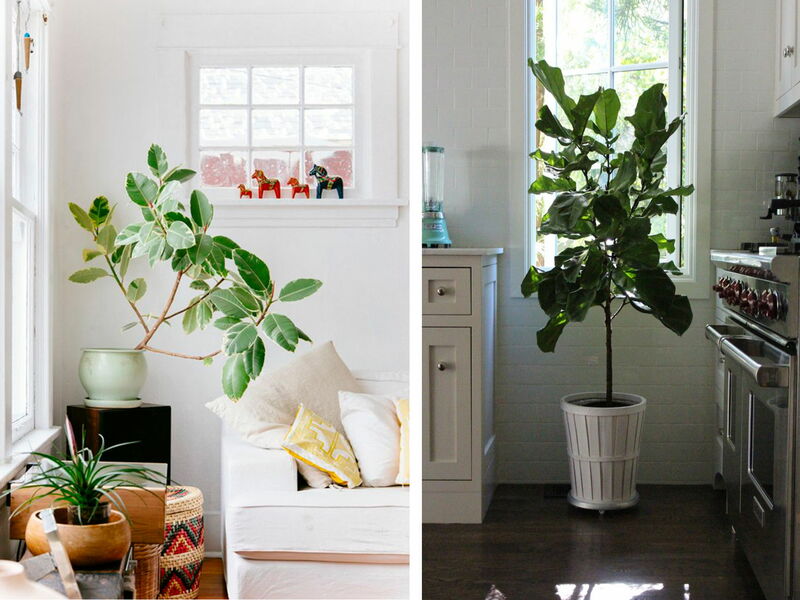 How to care for it: If you prefer a smaller plant, just trim your Rubber Tree into a shrub shape by pruning any long stems. 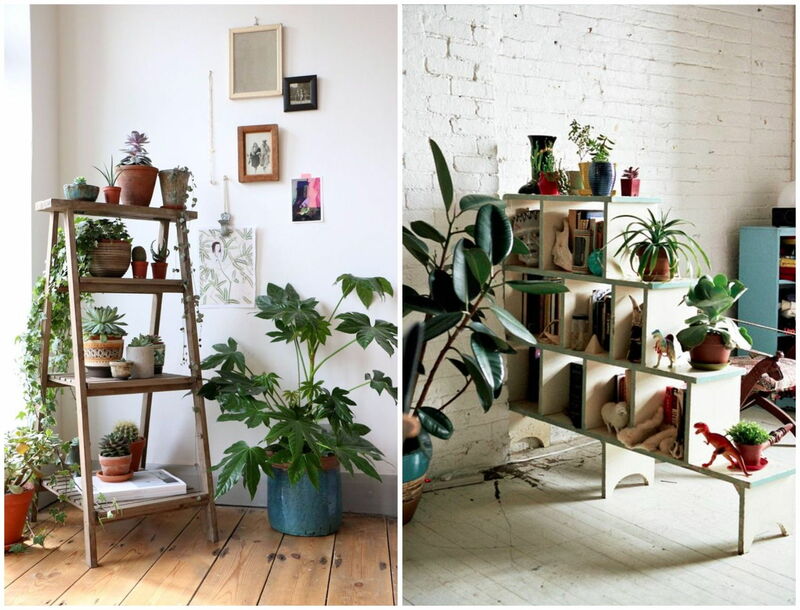 Where to put it: Somewhere with ample room for the tree to grow, like the hall or even the balcony. It’s great for filling awkward corners in the home. Measure the allocated area before heading to the nursery. Most of these plants listed below come in many varieties, be sure to ask your local nursery for advice. The amount of water needed varies from each plant, and it also depends on the humidity and temperature of the allocated spot in your home. If in doubt, save this article and show it to the nursery.